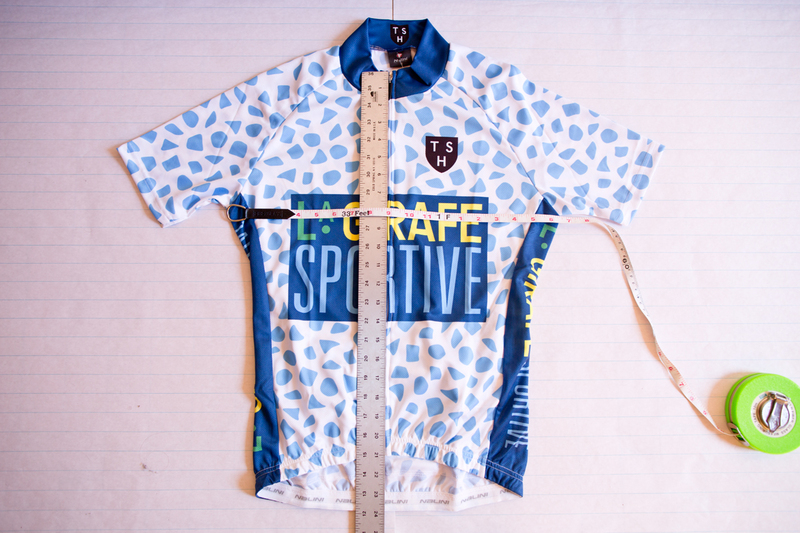 Picking the right Jersey size can be difficult, especially with stretchy fabrics. 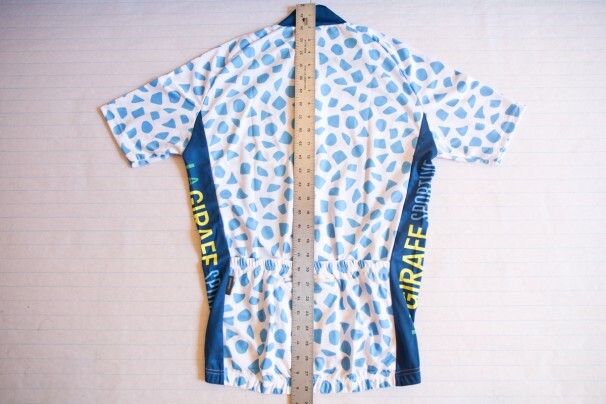 Plus some cyclist like real tight and some like a bit more room. 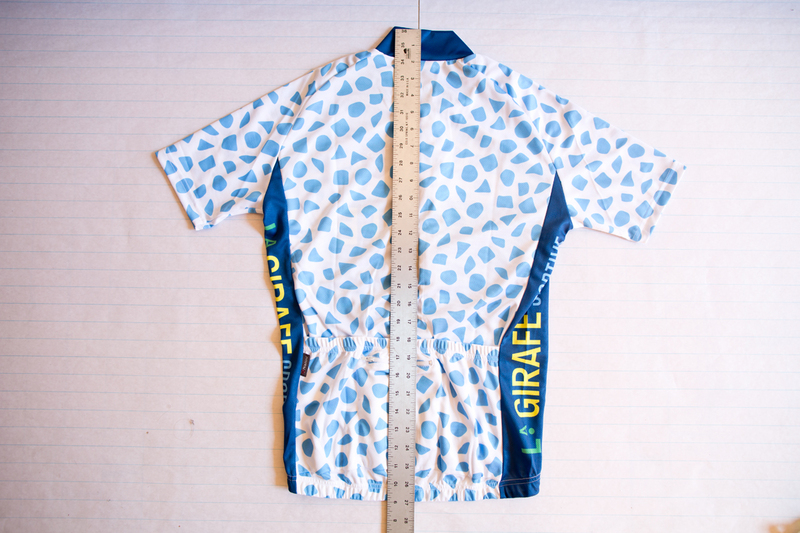 We are not even going to try to explain Euro Cut to Regular Cut to Grandpa Cut. 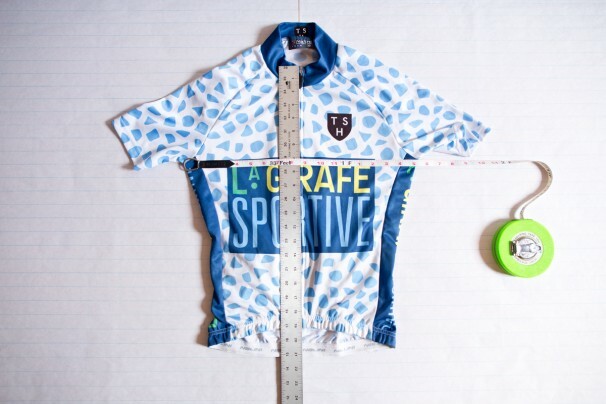 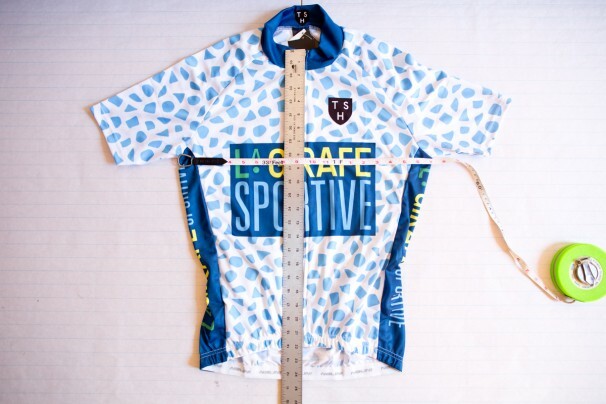 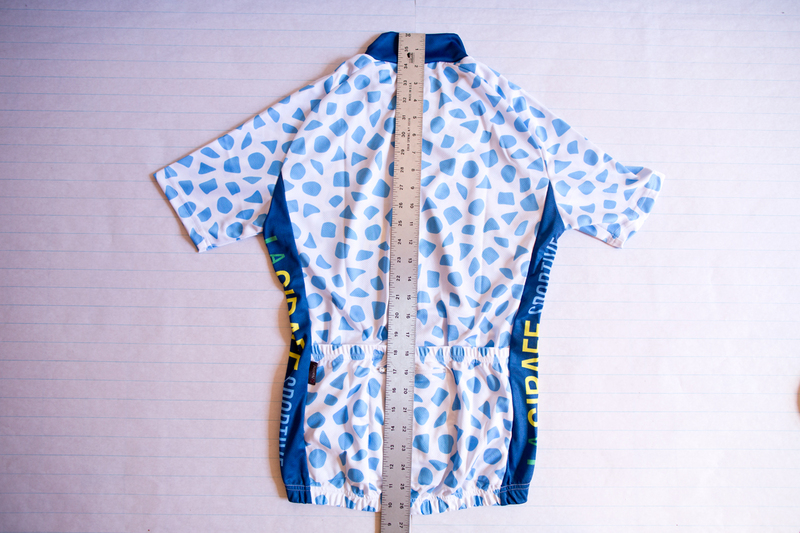 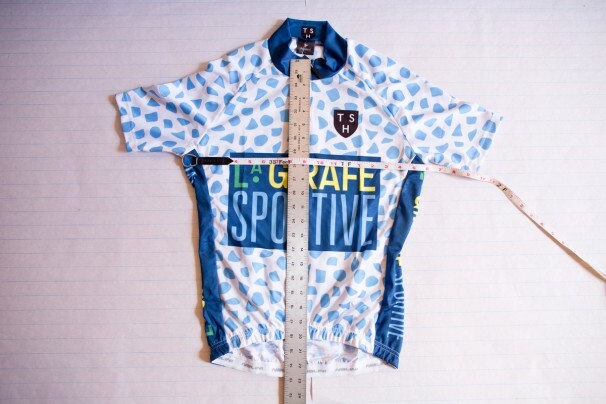 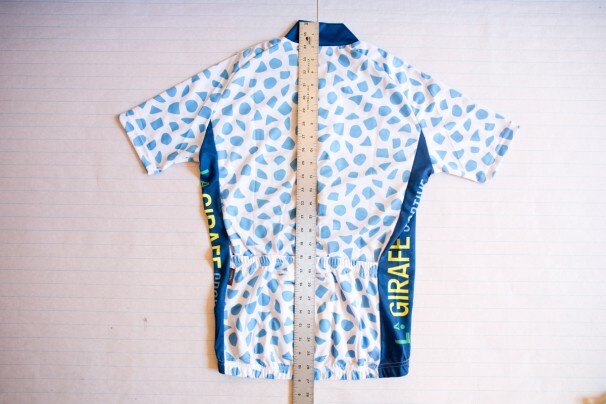 We laid this La Girafe Sportive Jersey flat on two pieces of giant lined-paper because we figured most people do not have a fit model and this way you can measure your existing jerseys to compare. Later this week we will do the Future is OK Jersey because it has Non-Raglan sleeves and fits just a bit different. 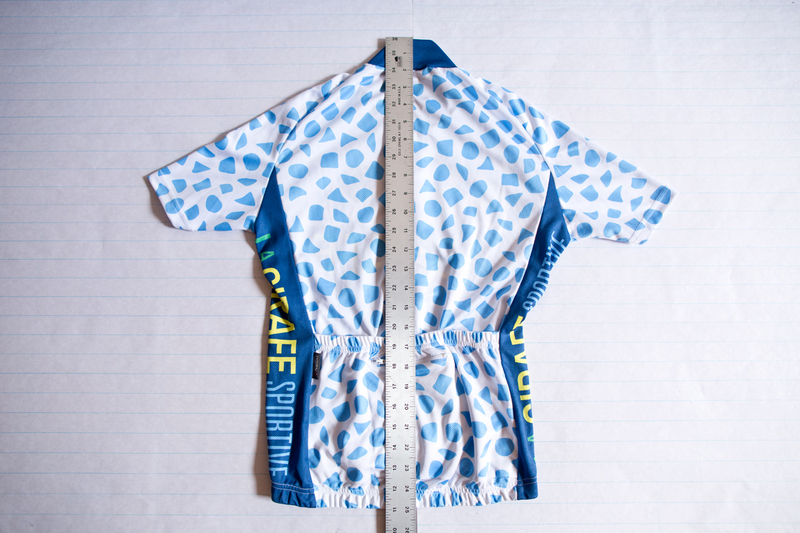 We will put the measurements below each photograph so please enlarge the images so you can see the ruler for yourself.